Eyewitnesses describe a truck mowing people down in a zigzag pattern during celebrations. It’s the deadliest attack since ISIS hit Paris last year. 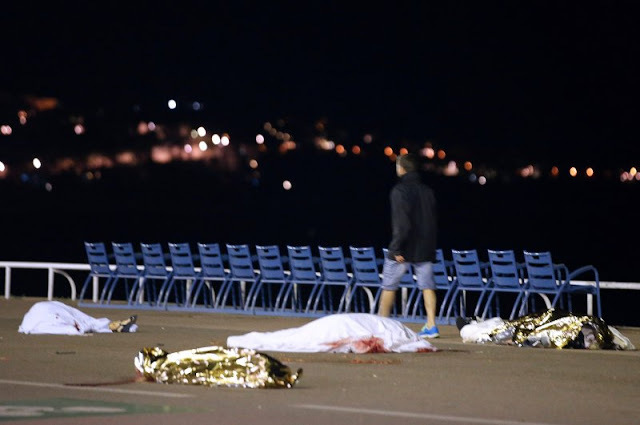 PARIS — The Bastille Day fireworks had just ended above the waters of the Mediterranean and the broad Promenade des Anglais of Nice was full of spectators, thousands of them, when the killing began. The instrument of death: a large white truck with a crazed driver aboard, plowing through traffic barriers, then zigzagging through the crowd on the broad walkway. Scores of people lost their lives, scores more were injured, before it was stopped. There was no doubt the murderous rampage was intentional, even though the connections of those responsible were not immediately clear. If, as many suspected in a country that has been hit by horrific terrorist attacks since January last year, jihadists from the so-called Islamic State are involved, no one would be surprised. Various jihadist groups have long had a foothold in some of the immigrant neighborhoods on the fringes of the famous port and resort town. Terri Clarke, a 49-year-old Scottish woman who has lived in Nice for 12 years, was an eyewitness to the attack. Clarke and a friend had been sitting on a green strip in front of the Hotel Negresco watching the fireworks. “Everyone got up to leave the beach and the road, and that’s when the bastards did this,” she told The Daily Beast of Thursday’s truck attack, which French authorities said left at least 84 people dead. The attack is the deadliest in France since the Nov. 13 Paris attacks, which killed 130 people. A U.S. official reached by The Daily Beast said Americans authorities had no means to confirm that ISIS was responsible but were already listing the group as a top suspect. Initial reports suggested that Telegram messaging app accounts affiliated with ISIS were posting photos from the attack. But since the accounts were not confirmed and there was no official confirmation from ISIS, it was impossible to say authoritatively the attack was the work of the terror group. Nice celebrates Bastille Day with a fireworks display on the beach every year. It is one of the most heavily-attended events of the summer season which is in full swing. 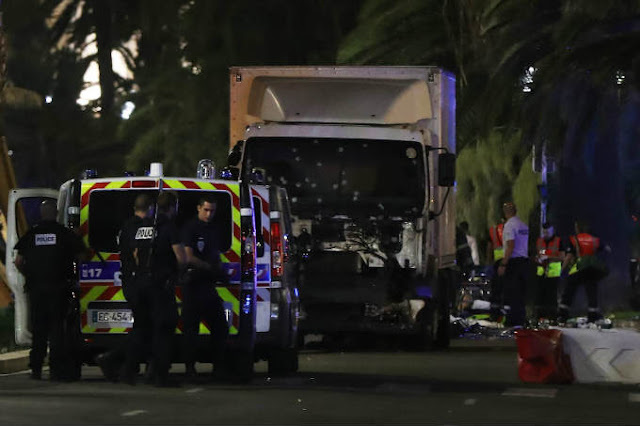 The Promenade des Anglais, where the truck ran over the victims, is one of the most popular seafronts in Europe. This post was republished from thedailybeast.com. You can find the original post here.